This is a round Signal Oil and Gas Company porcelain sign. This particular Signal Oil and Gas Company sign is red and black with white text. 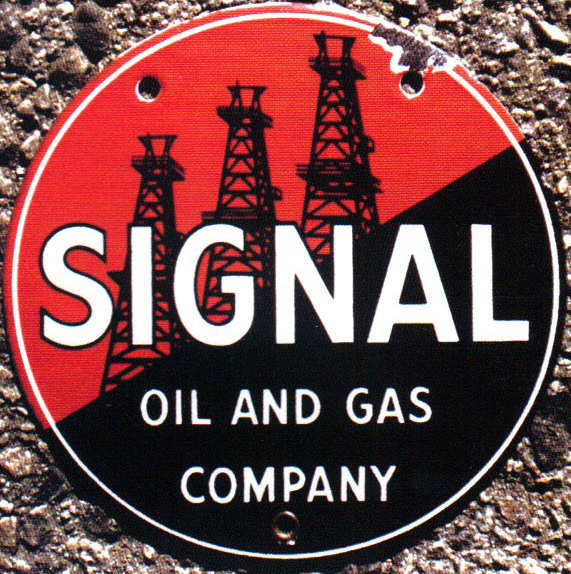 It reads, “Signal Oil and Gas Company” and features three oil towers against a red background in the center of the sign.